From Pierrepont Hicks's Spring Lookbook. Yes, PPH is one of my rad new sponsors. No, they did not pay me for this post. I've been preaching this one for a while -- I love a dude in a tie. 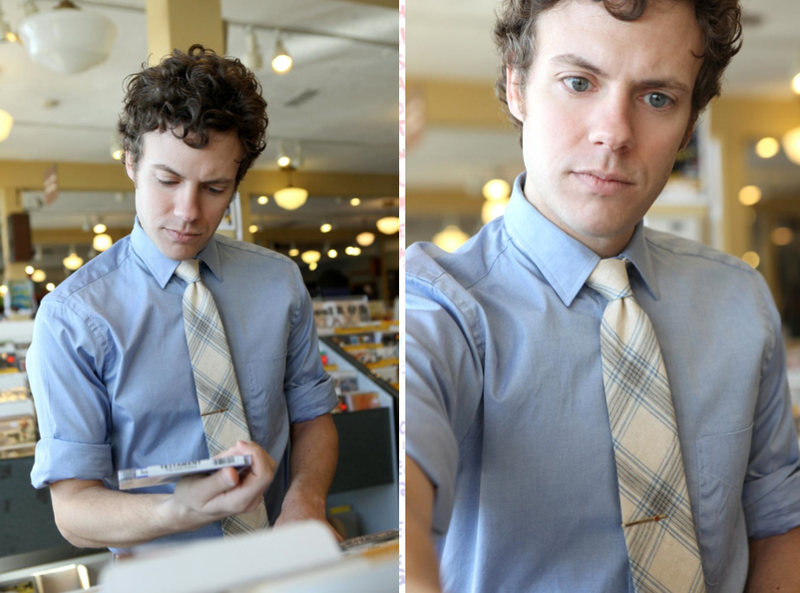 When a girl says "My dude doesn't wear ties," my heart sinks a lil' bit. 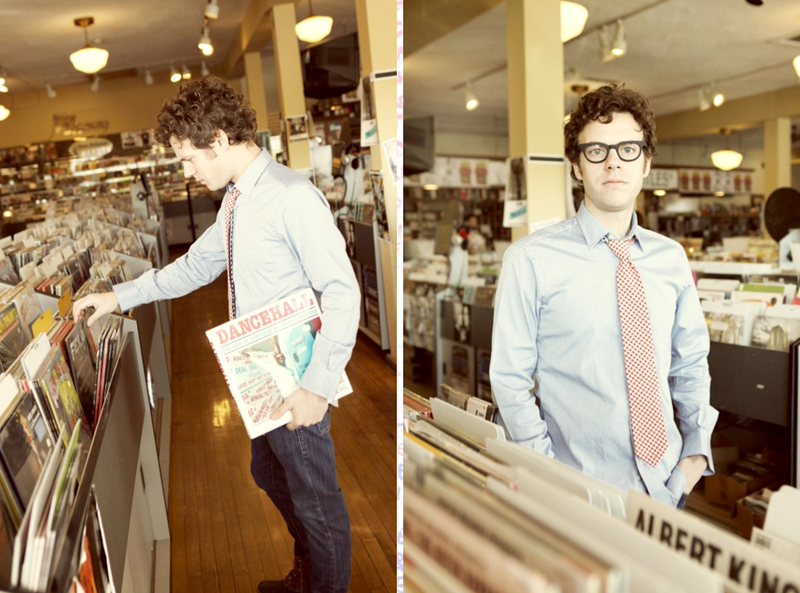 is that guy at amoeba? i think that guy's at amoeba. Simple: I just love him. 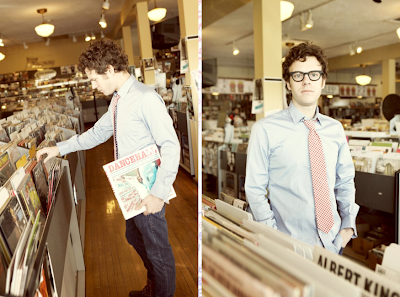 PS I also think that guy's at amoeba, and pps I so adore the glasses. They're the best part. Better than the tie. No you guys, it's Beck-meets-an-otherwise-unemployable-recent-creative-writing-MFA-grad-from-Columbia. Duh. He talks smack about Jonathan Franzen but secretly thinks Freedom is the best it gets, is one of those guys who gets really vocal at dinner parties about how Dylan sold out when he went electric, but slightly makes up for these shortcoming by making a truly excellent dirty martini (what with all those bartending jobs as a grad student). He dog-ears the style pages in GQ and he's really after your sister, so yes, he's pretty, but fugettaboutit. uh-oh, beck. are you saying he's a scientologist, lily? @bigBANG if he makes a good dirty martini, I'll take him. @lauren I was starting to quite like Freedom when it was cruelly repossessed by the library. are you kidding me with this? amazing. I like that fellow's curls, even if he does like Freedom. And I don't even HAVE a sister. P.S.. He is the lead singer of a band called Mercurial Rage.